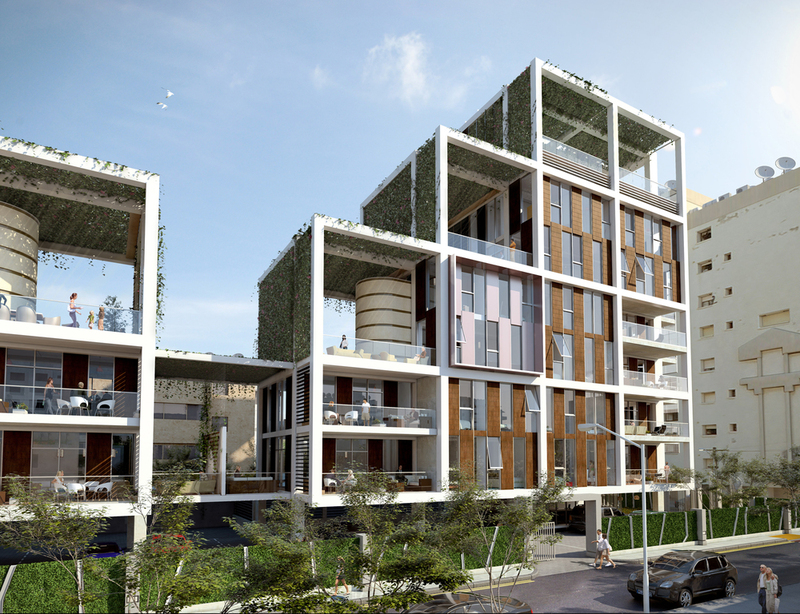 Neocleous Apartments consists of 18 apartments, with private surface car parking and public basement car parking. 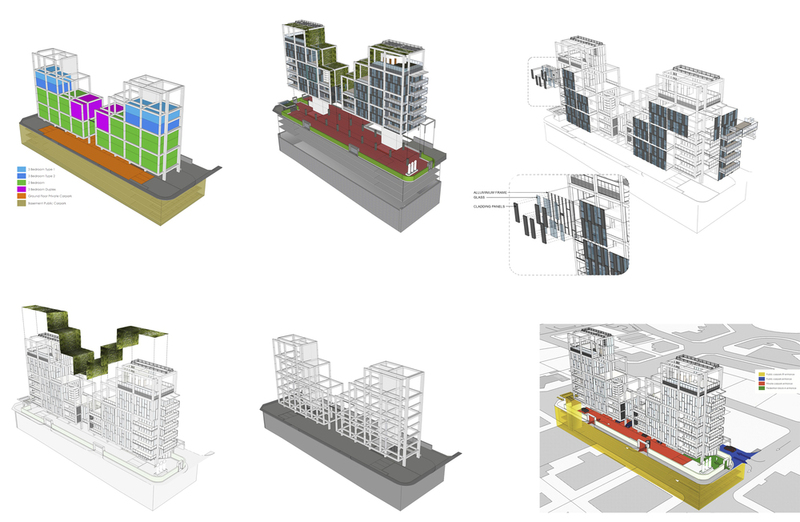 The proposal is based on a modular system, which is practical and cost efficient. The apartments connect directly with the outside areas to offer a sense of space within a dense urban environment. The apartments benefit from the inherent qualities of the local climate, with verandas and large terraces which celebrate the south Mediterranean way of life. Two independent apartment blocks are aligned next to each other in response to the long and narrow site. 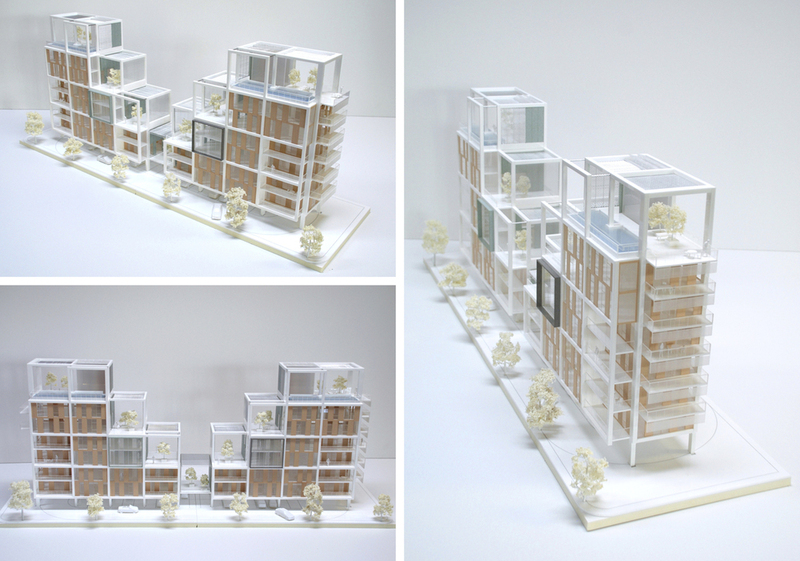 Their modular double height blocks create a strong format which establishes the main rhythm of the building. The buildings are stepped down from the street, the higher ends address the street scale in line with the neighbouring buildings while the centre of the site is lower, reflecting the existing residential units opposite. Intelligent passive design solutions have been utilised to prevent heat gain and to reduce cooling loads. 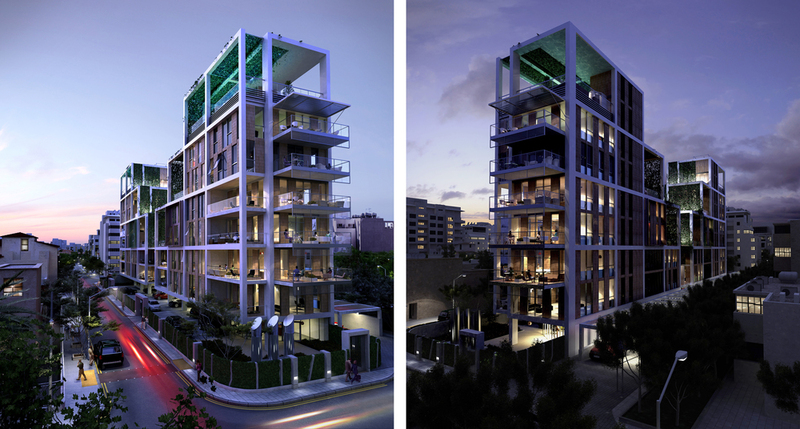 Deep balconies and horizontal louvers provide optimum shading during the hot summer days. The modular facade system with a play of solid stone and glass panels gives the building excellent performance and durability.